Pundak Deluxe – פונדק דה לוקס. 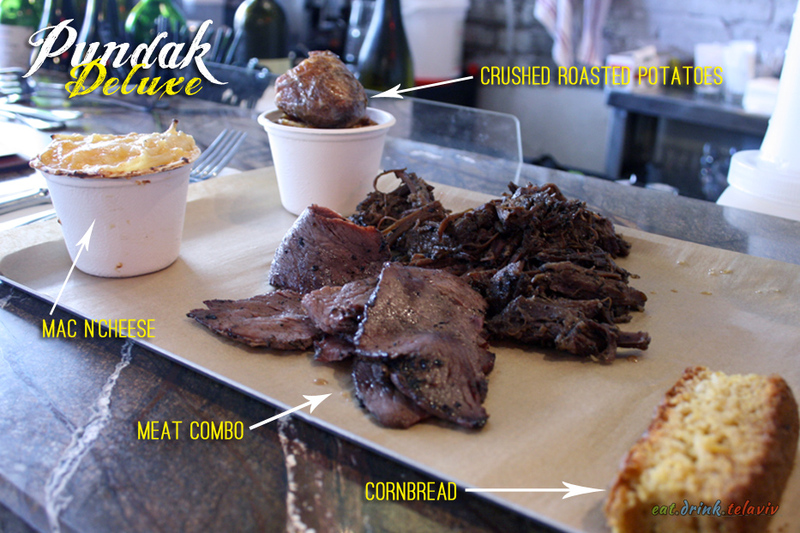 Pundak Deluxe is a American barbecue inspired restaurant that serves up a variety of meats for the enthusiastic carnivore. 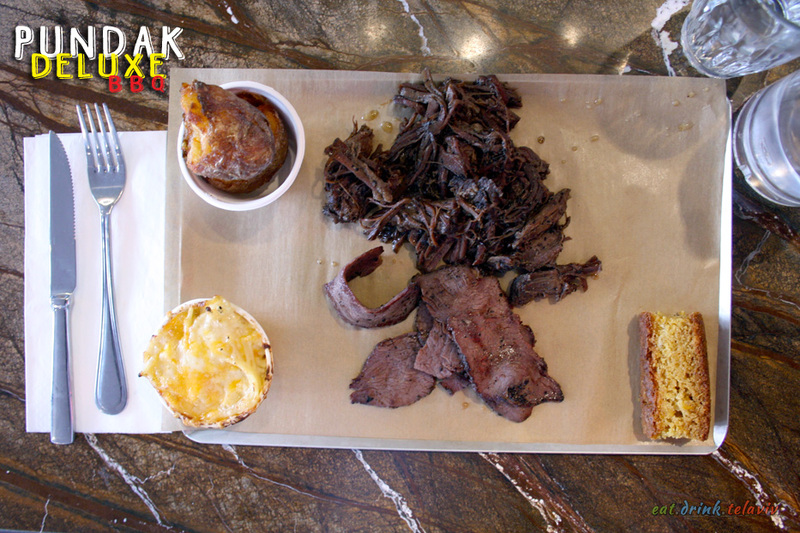 The goose, beef, lamb, chicken, turkey and even the pork are all locally sourced from in and around Israel. 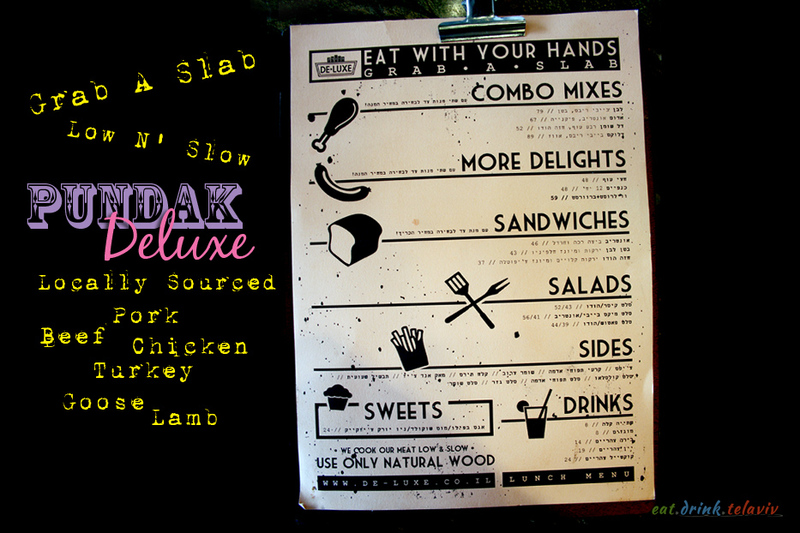 Pundak Deluxe’s “Grab a Slab” slogan is your call to action to fill your plates (or rectangular metal slabs) and your stomaches with combination plates of two or three meats like Pork Belly & Ribs (78NIS) or Beef Rib/Auntrib/Pikniyah (79NIS) (translation not available but I believe what I ate was mostly cow) with a variety of southern comfort style sides that include baked beans, coleslaw, grilled corn, roasted potatoes, and cornbread. The Deluxe Inn (Pundak means Inn) got its start from the many visits of businessman Uri Marmorstein to New York City’s hipster mecca of Williamsburg, Brooklyn. So inspired by the cool atmosphere and the sweet and smokey smells of the BBQ, Mr. Marmorstein wanted to recreate that laid-back aesthetic with authentic Southern barbecue food. An American meat smoker was imported into Israel and the “low n’slow” technique was employed to keep things true to form. And Pundak Deluxe achieves much in the small space. The vibe is definitely laid back with an art-deco-New-York diner decor. A bar-side seating is available along with a few wooden tables for groups both medium and small. The feeling of Pundak Deluxe, Tel Aviv is what I would call “Mediterranean-Hipster,” a combination of Israeli indifference in service mixed in with a Hipster disdain for what you think is cool.The music was eclectic – evoking diners to perhaps think as I did “this is cool but bordering on strange.” None of the songs were recognizable and yet at times enjoyable – true Hipster heaven. 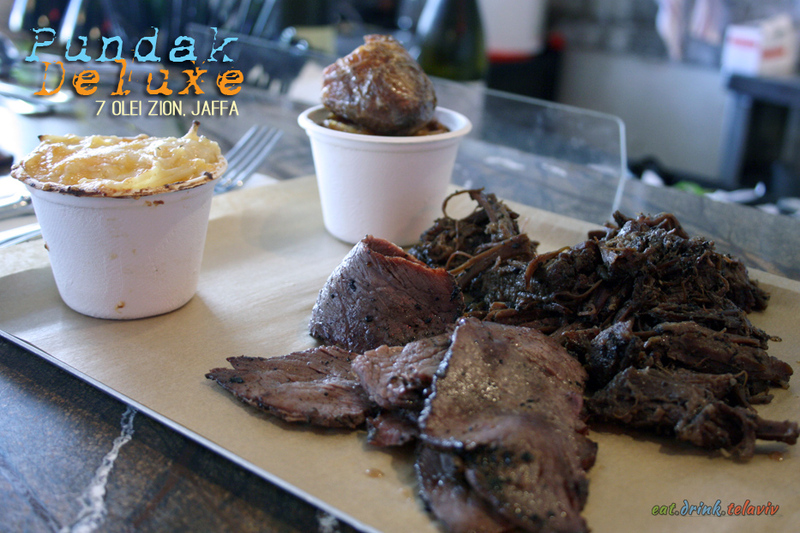 The Pundak is a great place to grab some ol’fashioned Southern comfort with that touch of Middle-Eastern charm that is Jaffa. The food is delicious, the meat is peppery and soft without being chewy, with a lovely charred flavour to accentuate the barbecue taste. The Beef Rib combo was delightful and the roasted potatoes were incredible. The sad Mac N’Cheese was a swamp of bechamel and gross spaghetti. (Not to worry we cannot find it on the menu anymore.) Some nice touches to the meal was the cornbread which was moist, dense with a touch of graininess and the three dipping sauces of mayo and bbq sauce with a very interesting ketchup with beet. 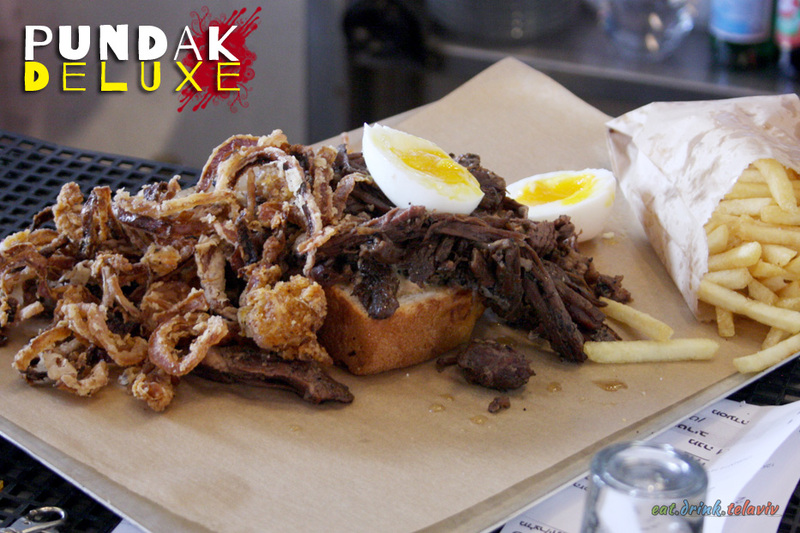 Pundak Deluxe, is great for small groups to feed their taste for all kinds of animal. While I would generally suggest vegetarians and vegans avoid this place, the streets of Jaffa are filled with so many cool places and the fresh feel from the ocean washes over the condensed township south of Tel Aviv, you may just want to go for the experience. 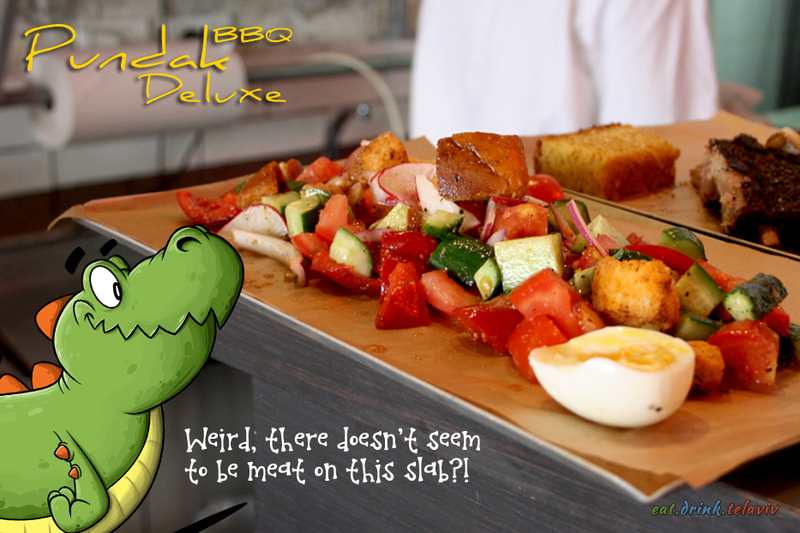 And you could always “Grab a Slab” of salad, while your friends drool over their low and slow barbecued heaven, stifling laughter at life choices made as they catch you licking your lips uncontrollably — come to think of it, this isn’t the kind of place for Herbivores, regardless of whatever meatless options the Deluxe Inn offers. 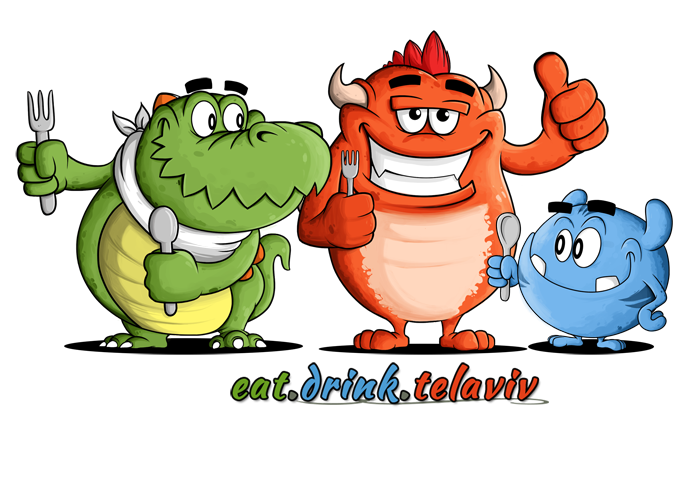 Omnivores and Carnivores come hungry, leave wide-eyed and satiated.